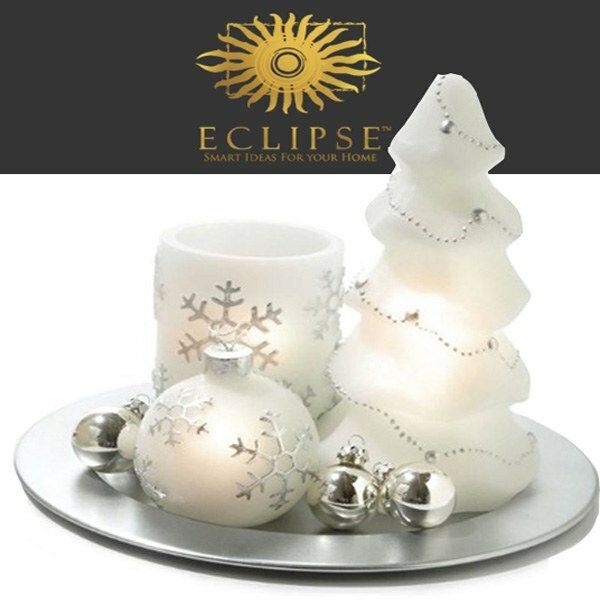 A beautiful 10 piece flameless candle set that doubles as tree ornaments. Flameless LED Christmas Tree 10 PC Candle/Ornament Set w/ Silver Tray A beautiful 10 piece flameless candle set that doubles as tree ornaments. Beautiful Christmas tree ornament and Christmas tree flameless candles and a flameless snowflake candle all on a festive silver plate with mini silver ornaments. All handpainted, all flameless and all perfect for the holidays! A gorgeous set or as individual candles.